The trucking industry has seen several big changes in 2017. Some of these changes could drastically affect the safety of all of us on the road. Below is a discussion of the changes thus far in 2017. What Changes Are Being Implemented By The Trucking Industry? As of December 18th, each and every truck carrier will be required to have an Electronic Logging Device on their truck. This ELD will keep track of the hours of service for every truck driver. While most big truck carriers have had these ELDs for years, not all of them do given the expense. This new regulation will require all trucks to be equipped with an ELD. In the event of a truck crash, your attorney will be able to easily obtain the information contained on the ELD and determine if the driver was in violation of the maximum allowed hours of service. For some time, it looked like the Federal Motor Carrier Safety Administration was going to measure each trucking company or truck carrier's Safety Fitness Determination. Will This Change Decrease Truck Accidents? 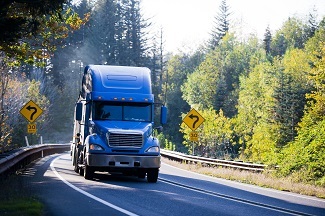 The Safety Fitness Determination specifically evaluates whether or not the motor carrier is fit to operate a commercial motor vehicle (CMV). The trucking industry aggressively fought such regulation. The trucking industry argued that oftentimes, the safety data considered with the Safety Fitness Determination was flawed. Unfortunately for all of those injured by a big rig or tractor trailer, the FMSCA has recently announced that they are postponing the new rules that would have measured a truck carrier's Safety Fitness Determination. It used to be that a truck driver could only reset his/her hours of service if the driver had been off duty for two periods from 1:00 to 5:00 am. This was known as the 2013 34-Hour Restart Rule. Truck drivers were only permitted to restart their hours once per week. Again, the trucking industry opposed the regulation. They argued that the rule forced drivers to operate during high-traffic time which slowed down deliver and resulted in a loss of productivity. Again, unfortunately for the rest of us on the road, the 34-Hour Restart Rule has been abolished. While there have been other regulation changes in 2017 - some involving the Unified Registration System and new rules regarding the transport of food - the above changes will affect the safety of other motorists on the roadway the most. Have you or a loved one been involved in a truck accident? If so you need to speak with an experienced truck accident attorney as soon as possible. Contact us online or call us directly at 855.522.5291 to schedule your free consultation.